If you live in a place where an outdoor shower is a good option, then using a solar water heater to provide the hot water can make the plumbing of such a system much simpler. Most houses already have an exterior cold water line, in the form of a hose bib, but few have hot and cold lines pre-plumbed to the exterior of the home. 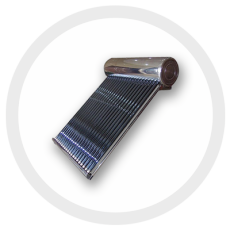 Using a solar water heater can alleviate the need to run new plumbing, as you can instead integrate with the existing cold line, and use the hot water produced by the solar water heater for your shower, thus saving you money. Depending on your climate you may choose to use this water heating system seasonally or year-round. 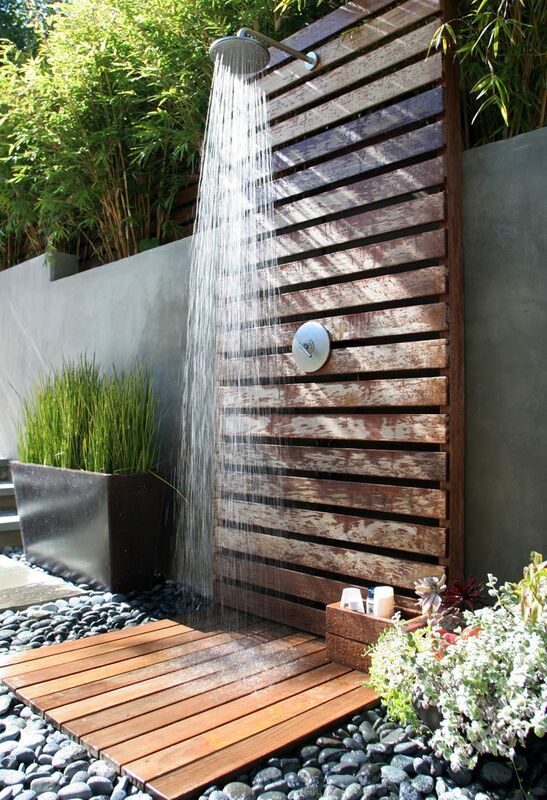 Which seasons you use your outdoor shower will inform whether you want to install it as a permanent or temporary installation. It could be as informal as hooking up a garden hose seasonally or you could have a permanently plumbed installation. Just like all Sunbank installations you will want to also include a tempering valve to automatically mix the water coming out of the Sunbank so that you don’t have 180ºF water coming through your shower. See our post about pre-heater installations or email us for an installation manual to see a plumbing diagram. This water heating system is a perfect fit for a surf shower or a lake house. And the more you and your family use the solar shower, the more you will save in utility costs.